This article was written for the 2008 NM Collector’s Guide, by Mary Montaño who teaches Indo-Hispano arts and culture at the University of New Mexico. She holds two degrees in music. Luthier – a maker of lutes, harps, violins, acoustic guitars and other stringed instruments. To ﬁnd harp and lyre maker Raphael Weisman (sole owner/operator of Harps of Lorien), one must drive away from Questa, NM, and seek out a small Buddhist temple and a windmill. Don’t blink. His workshop is a converted goat barn the size of a three-car garage. The harp barn is orderly in a way that says “a place for everything and everything in its place” to the master, if not the visitor. Power woodworking equipment and hundreds of hand tools have their place next to stacks of aging wood, dust venting tubes, harp frames in various stages of production, a lute frame, and more. went to Israel at age 17 and later settled on a kibbutz. He participated in the Six Day War, then studied English Literature, Musicology and Philosophy at The Hebrew University in Jerusalem. He moved to England and began a lifelong study of lute and violin making while also learning Renaissance and Baroque music. 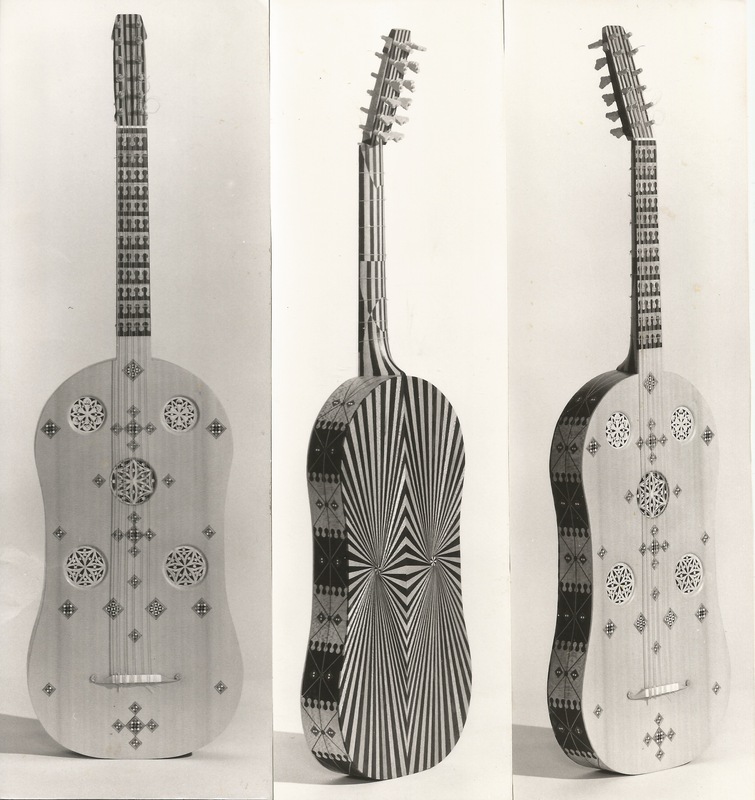 His master’s test in 1974 was to create a replica of the “Paris Vihuela,” a beautifully detailed instrument dating from 1502. It took a year to complete, and included a visit to Paris to study and measure the original. After a stay in Laguna Beach, Raphael moved to New Mexico, learned harp making from a friend in Santa Fe, and settled down to perfect his craft. He takes his time explaining to a visitor each step in the process of creating a harp, including all the electric and hand tools, templates, equipment, considerations and pitfalls. The harps’ designs are sculptural works of art that enhance their aural beauty. He speaks with admiration of the woods like purple heart, Baltic birch, and a local spruce. Yew wood, sacred to the Druids, is used to build lutes. He found some extraordinarily warm and rich plum wood in a friend’s garden in Cambridge. It was soft and had begun to rot, but Raphael knew he could transform it into something marvelous to behold. Now it is a warm and vibrant vihuela. Raphael sells his harps via his primary contact with the outside world, his website (see #181). He makes a variety of full sized harps, children’s lyres, and harps speciﬁcally for therapy, education or concerts. In the tradition of the Greek physician, Galen, who developed music therapy, harps are still used today to balance the body’s energy. It is no mistake that, with a name like Raphael, this harp artisan blesses the therapy instruments as he makes them, and inscribes them with mantras and prayers for peace. It is a sublime alchemy of harmony, art and tranquility. Photo is by Mary Montano. The other luthiers in the article are Robinson and Son’s Violin Shop and The Pimentel Family Workshop.